Protip is a powerful jQuery / HTML5 / CSS3 tooltip plugin used to display interactive, heavily customizable tooltips with fancy CSS3 animations based on Animate.css. 1. Import the Protip's style sheet and animate.css into the head section of the webpage. 3. Initialize the Protip plugin. //  Global offset of all tooltips. 6. You can pass the configuration options to the tooltips via html5 data-pt-OPTION attributes as in data-pt-trigger="click". data-pt-delay-in = 0: Delay of showing a tooltip. Handy in cases when you want to prevent tooltips on quick mouseovers. data-pt-delay-out = 0: Delay of hiding the tooltip. Handy in cases you have clickable content in the tooltip for example. data-pt-interactive = false: If true, protip will use a default 250ms as delayOut for clickable contents. data-pt-gravity = true: Gravity will check your tooltip before showing it and it will search for better positions if the tooltip won't fit to viewport. Gravity has multiple options available, there is a separate section in the documentation about gravity. data-pt-offset-top = 0: Adjust the Y position of the tooltip. data-pt-offset-left = 0: Adjust the X position of the tooltip. data-pt-position = 'bottom': Preferred position. Check Positions section for available options and details. data-pt-placement = 'outside': Placement of the tooltip inside the element. Available values are: outside, inside, border and center. data-pt-classes = null: These classes will be added to the tooltip which may enable additional styling for example. data-pt-arrow = true: Hide arrow from this tooltip. At initialization there is an option to set the size of the arrow. Protip will calculate this into positions. data-pt-width = 300: This is the default max-width for the tooltip. If you need fixed width, write as this: 300! data-pt-icon = false: Adds icon template to the tooltip markup with the specified icon class. data-pt-observer = false: If true, we will attach an observer to the source element and watch for changes. For example if you change the data-pt-title attribute, the tooltip title will be changed also. data-pt-target = 'body': We will append the tooltip to this selector. Use true if you want to append into the source element. data-pt-skin = 'default': Skin to apply only to this tooltip. data-pt-auto-hide = false: Tooltip will hide itself automatically after this timeout (milliseconds). data-pt-mixin = undefined: Tooltip mixins to use. Separated by spaces. // Set tooltip to the element. // Show the tooltip of this element. Same as set, but it won't show. // Hide the tooltip of this element. // Toggle the tooltip of this element. // Hide all tooltips inside of this element. // Show all tooltips inside of this element. // Toggle all tooltips inside of this element. Fix calculation for broken browser behaviour. 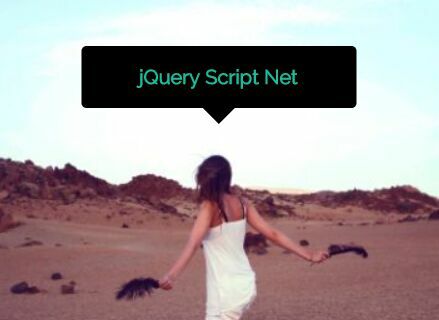 This awesome jQuery plugin is developed by wintercounter. For more Advanced Usages, please check the demo page or visit the official website.